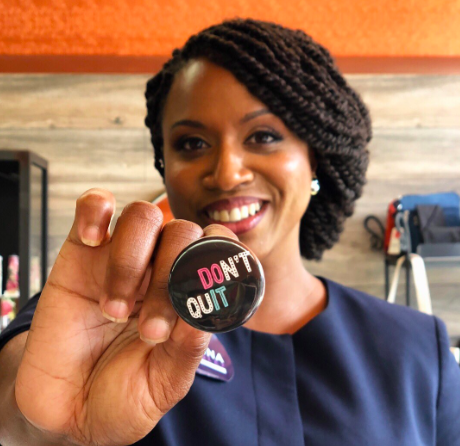 If there’s one thing to be proud of and to set your day off right, it’s watching Ayanna Pressley’s reaction to beating incumbent Rep. Michael Capuano (D-Mass.) after Tuesday night’s historic Democratic primary in Massachusetts. During Pressley’s victory speech, she made it clear that Massachusetts has a lot of work ahead of itself, and its issues were there long before Donald Trump became president, according to WCVB. “While our president is a racist, misogynistic, truly empathy-bankrupt man, the conditions which have made the 7th one of the most unequal in America were cemented through policies long before he ever descended the escalator at Trump tower,” Pressley said. Pressley is now on her way to possibly becoming the first African-American lawmaker to represent Massachusetts in U.S. House of Representatives.